Collaborating with the OTILLO Swimrun World series, the Primus Trail Swimrun's design is ideal for long distances across land and sea. With a lightweight build, neoprene anti-grit ankle sock and quick-draining mesh, enjoy your extreme adventures in versatile conditions with seamless comfort. Collaborating with the ÖTILLÖ Swimrun World series, the Primus Trail Swimrun's design is ideal for long distances across land and sea. 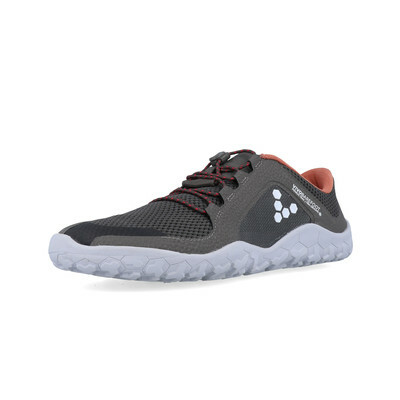 With a lightweight build, neoprene anti-grit ankle sock and quick-draining mesh, enjoy your extreme adventures in versatile conditions with seamless comfort. With activity in both dry and wet conditions in mind, the breathable mesh upper of the VivoBarefoot Primus Swimrun FG Mesh makes sure that the shoe is lightweight. When exposed to water and other wet conditions, the quick-draining mesh will minimise excess weight in lightning fast times. A neoprene sock-like ankle fit removes any danger of irritation from grit and dirt. 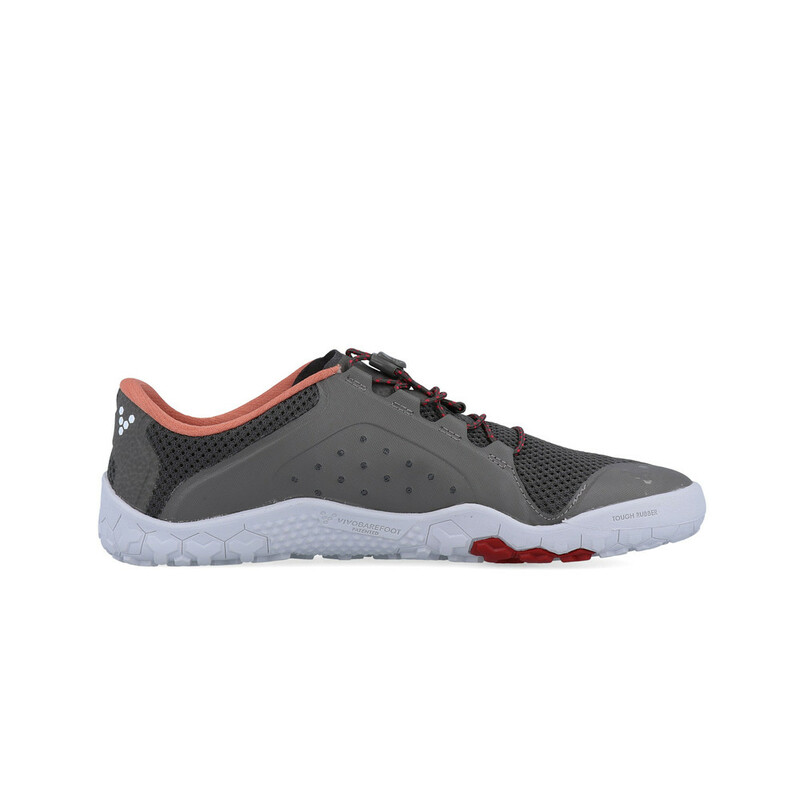 Ventilated by the breathable mesh, the shoe will never feel out of place in any condition. 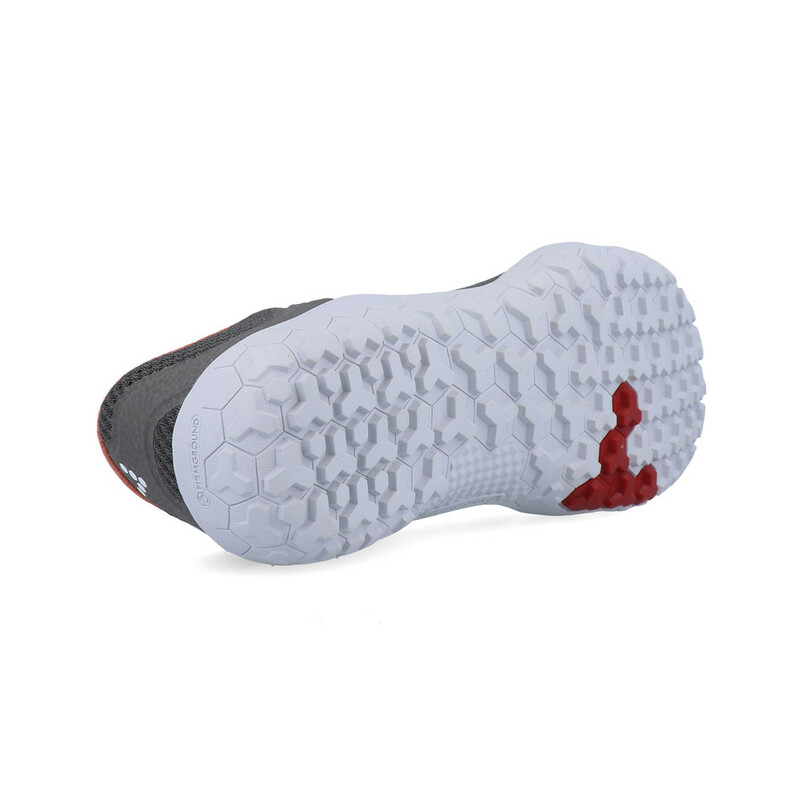 The Pro 5 outsole uses puncture resistant technology, making mile after mile of challenging conditions seem like a park run. Having a 3mm sole, including low profile lugs, this offers road traction and comfort. 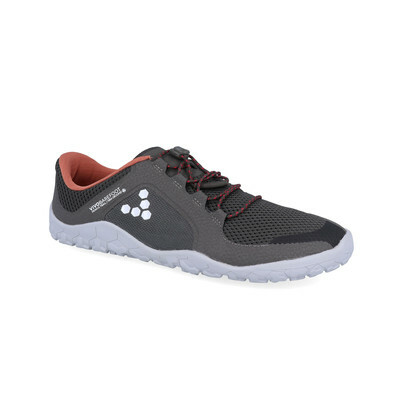 As well as this it has a non-slip sticky rubber upper, and will make sure that you will be in full control of your footing on slippery surfaces. Quick Dry Excess weight removed quickly by breathable mesh. 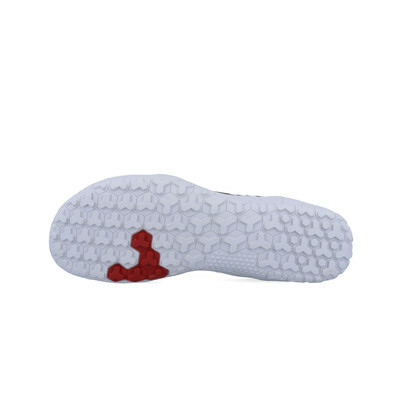 Anti-Grit Neoprene ankle sock deters dirt. Versatile Ventilation Transitions between land and water feel seamless. 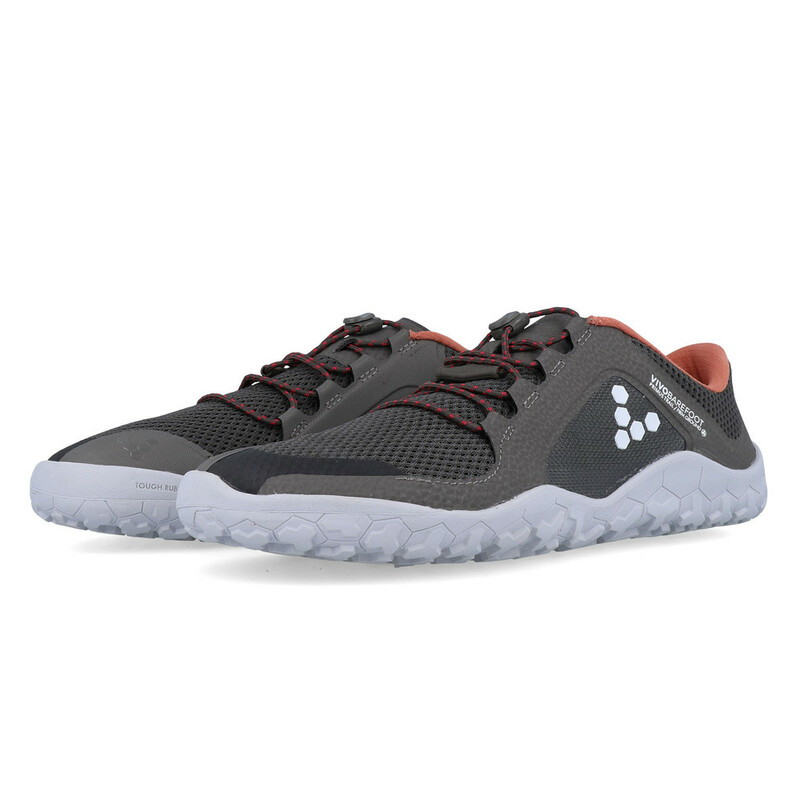 Puncture Resistant Strong sole capable on multi-terrains. 3mm Firm Ground Outsole Featuring 3mm low profile lugs for extra grip. Vegan Friendly Animal-free production and and processes.